BlackBerry analysis: Android OS for enterprise customers? The release of the new BlackBerry Priv at the end of last year caused a sudden burst of interest in BlackBerry phones again. The company popped me over a review copy and it is indeed an impressive device. This is because it blends the standard Android smartphone ease-of-use with a full pull-out keyboard. It also has BBM, the BlackBerry hub, extensive battery life and improved security. 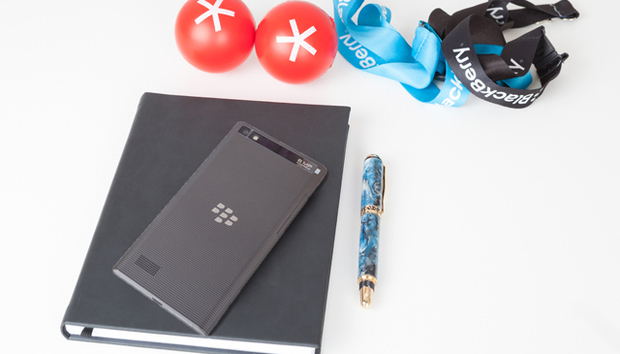 This is for “uncompromising users who want the apps ecosystem to help them stay productive and engaged in their personal lives, and the security and productivity they demand at work,” clarifies Patrick Murtha, Director of BlackBerry Product Realisation: Priv. What does this mean for BlackBerry business device adoption? So, what about a general move to Android? Since CEO, John Chen, said at CES this year that no devices powered by its own BB10 operating system will be released in 2016, many pundits believe BlackBerry plans is to ditch its own operating system altogether. But should BlackBerry ditch its own OS entirely? According to CEO John Chen, “If our plan of doing the BlackBerry Android implementation works well and the security is accepted, of course we could replace or merge” the BlackBerry OS side of the business. “This indicates that the company itself has plans to take the bitter pill depending upon the results of its new launch,” suggests Gupta. “I think that BlackBerry should ditch its hardware business entirely,” says Metodiev of 451 Research, uncompromisingly. What about the all-important issue of security? Gupta points to a 2014 report [PDF] by Symantec which shows iOS is a preferred choice for enterprise owned devices whereas Android dominates “employee liable” (i.e., BYOD) devices at work. “Understandably,” he says “iOS is enterprise favourite due to Apple’s tighter version control and higher perceived security, all of which is virtually absent in Android open platform”. This point is highlighted by a recent Cambridge University study [PDF] which found that 87% of Android devices are not secure. Metodiev of 451 Research seconds this. “Android is considered the least secure OS compared to iOS, BB and Windows, and although BlackBerry assures everyone that has taken measures to improve that, I don’t see many enterprise users switching because the device is now Android. Gupta agrees that given the price point [around US$699] it seems unlikely that employees, paying themselves, will choose to adopt it. “Given the fact that volume of employee liable phones are way higher than corporate liable phones (an approximately 60:40 ratio), device price may play a major role if BlackBerry wishes to return back from being a fringe player [in the enterprise device space],” he adds. Is there anything else to say about BlackBerry in the enterprise space? Metodiev of 451 Research is not so positive. “After the disappointing sales of the Passport device and similar expectations for the Priv device, BlackBerry will find itself out of ideas,” he suggests. Gupta concludes that while the hardware side may not be looking too great: “BlackBerry is still a very strong player in the software side of business”. « Is sexism really worse in tech? Charlotte Trueman takes a diverse look at today’s tech landscape. Trump's trade war and the FANG bubble: Good news for Latin America? Do you think your smartphone is making you a workaholic? Copyright © 2018 IDG Connect Ltd. All rights reserved. Designated trademarks and brands are the property of their respective owners.